Save with the latest Oyorooms coupon code for India - Verified Now! 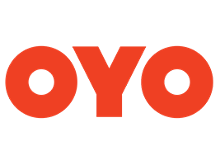 Oyorooms coupon code - Get 40% off on hotel bookings with ICICI Bank debit and credit cards! For ALL Users. Valid on bookings created till 30th April. Only Valid for hotels in India. Valid on OYO Web & M-WEB only. Exclusive coupon codes: Flat 30% OFF on all Properties!! Exclusive coupon codes: Flat 30% OFF on all Products! Pay with Paytm and get 5% cashback up to Rs.250 on hotel bookings! Exclusive coupon codes: Flat 30% OFF on all Properties! Valid on bookings created till 30th April. Only Valid for hotels in India. Valid on OYO Web & M-WEB only. Enjoy up to 60% off on Hotels in Delhi! Oyo rooms in Hyderabad, starting from Rs.811 only! Get up to 25% off on Hotels in Mumbai! Escape the heat, enjoy 25% off on Hotels in Ooty! Minimum amount of your booking is Rs.2,000.